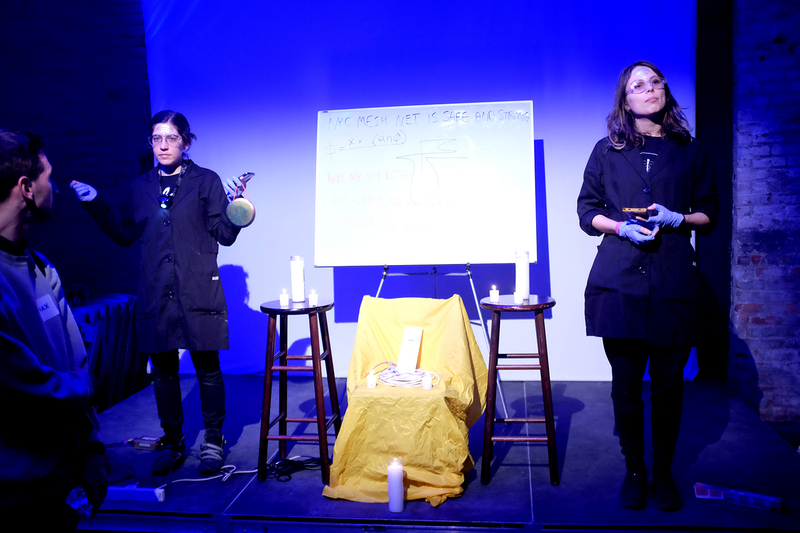 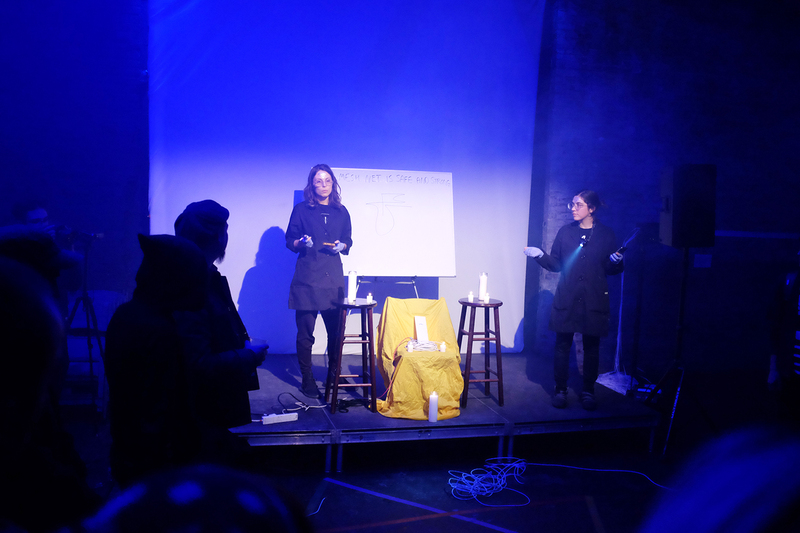 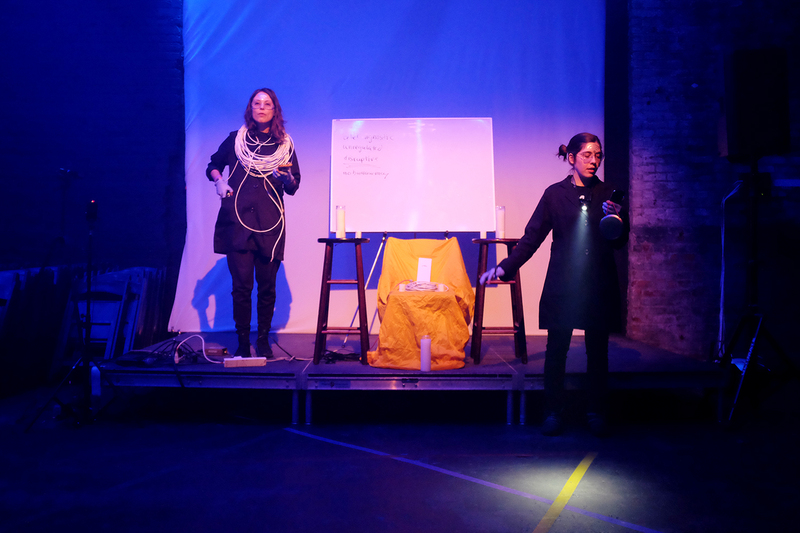 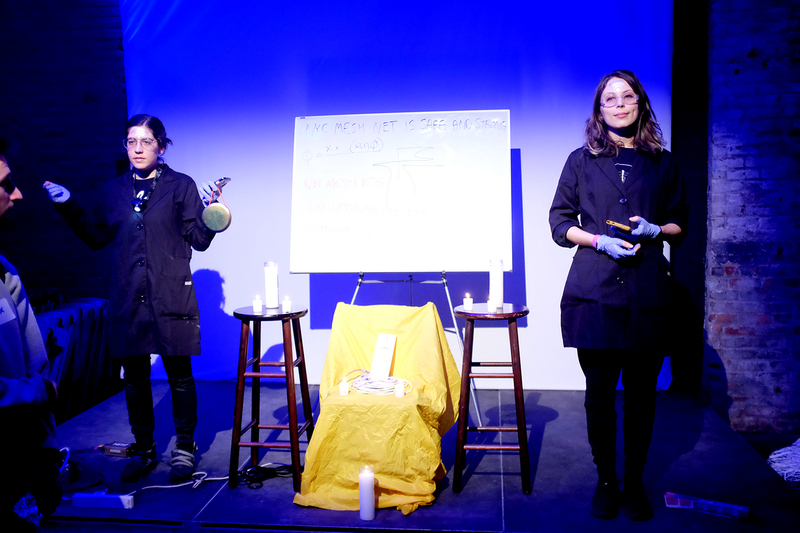 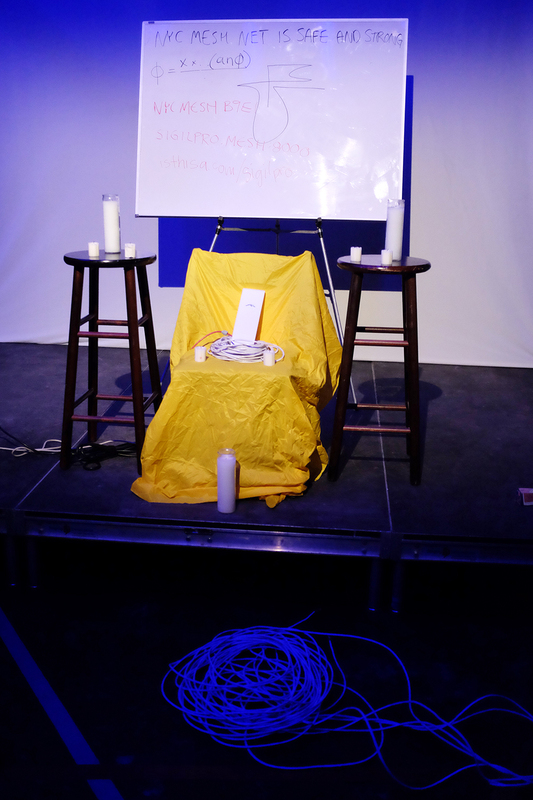 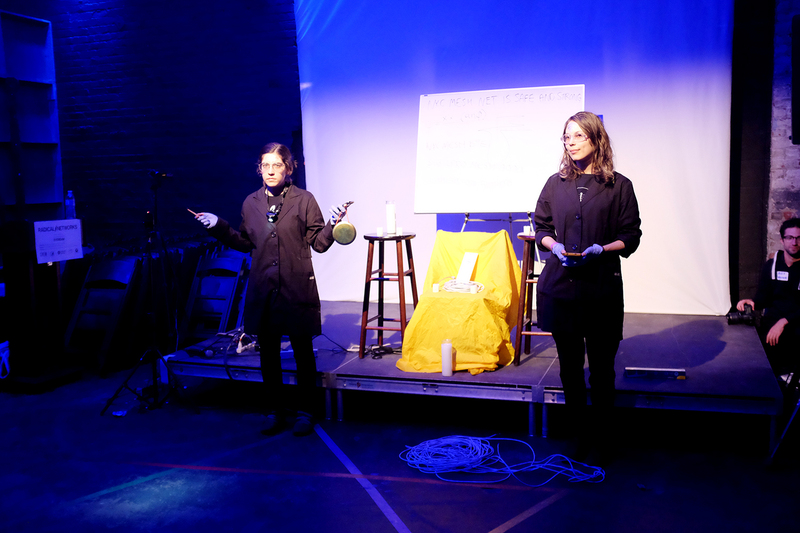 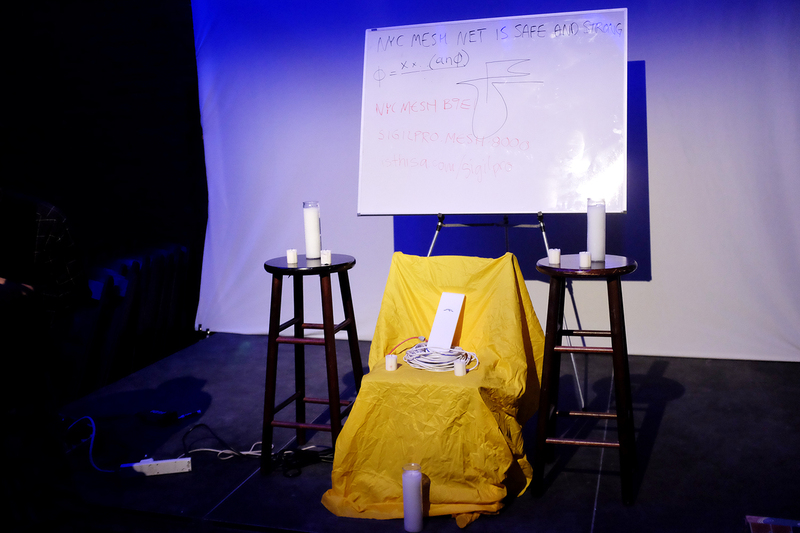 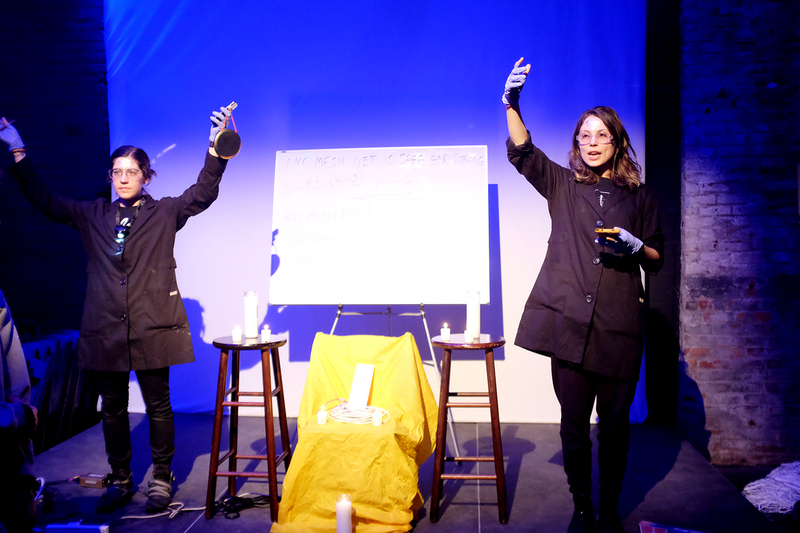 A participatory art performance staged at the Radical Networks conference in Brooklyn, 2016. 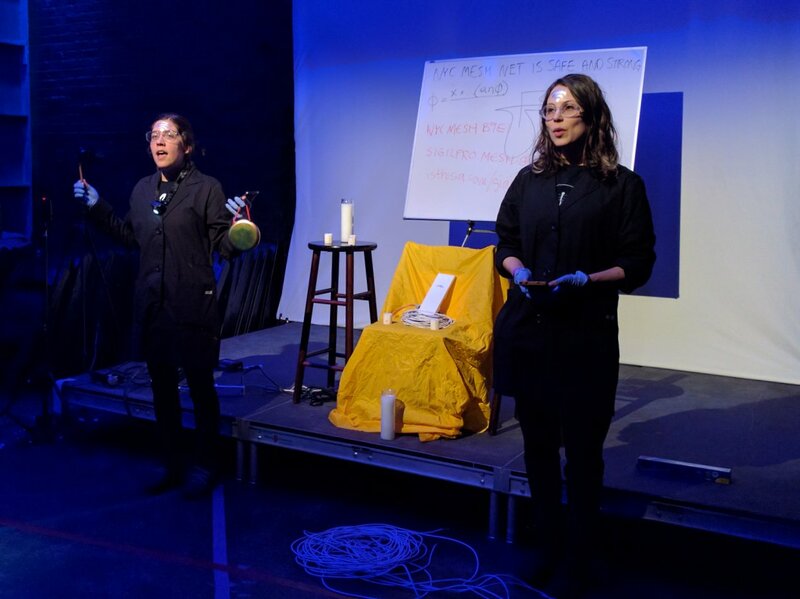 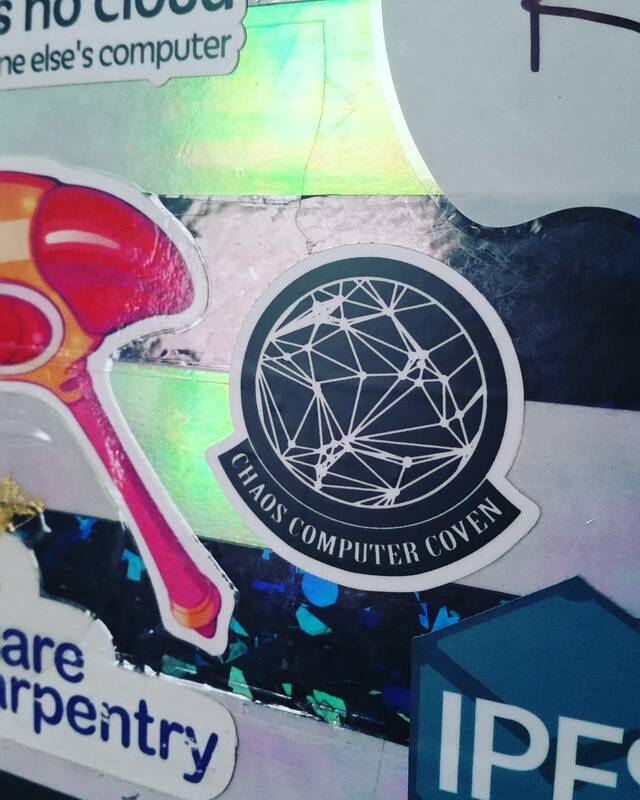 As part of the Chaos Computer Coven, an ephermal organization focusing on tactical/technical magic, RB and I guided participants through a chaos magic ritual to feed and strengthen the egregore of the NYC Mesh and ward against intrusion from malicious actors. 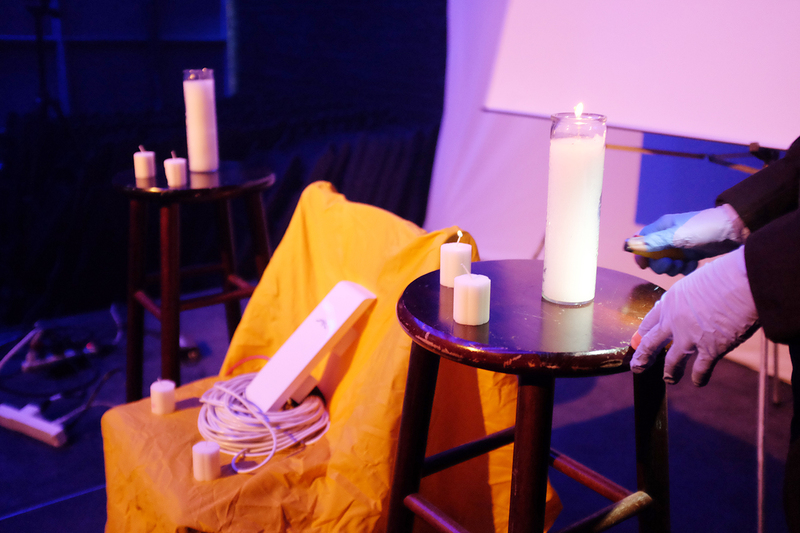 In chaos magic, an egregore is an emergent phenomena similar to the genus loci, or spirit of a place. 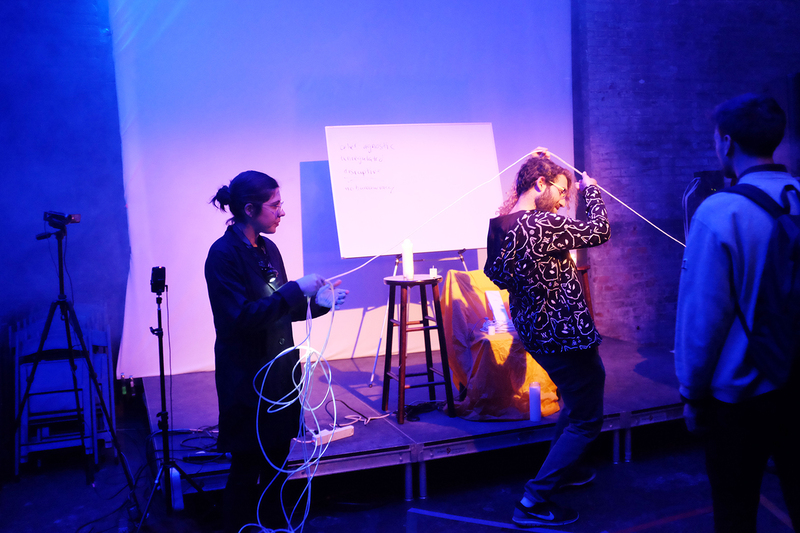 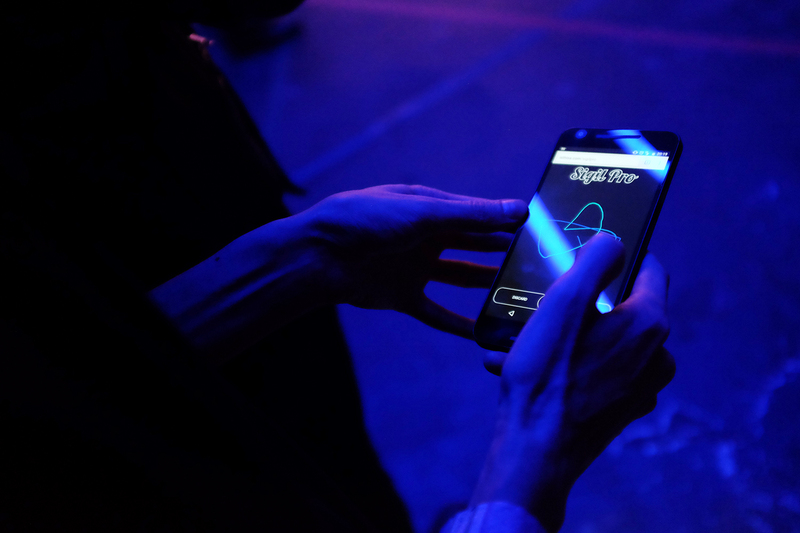 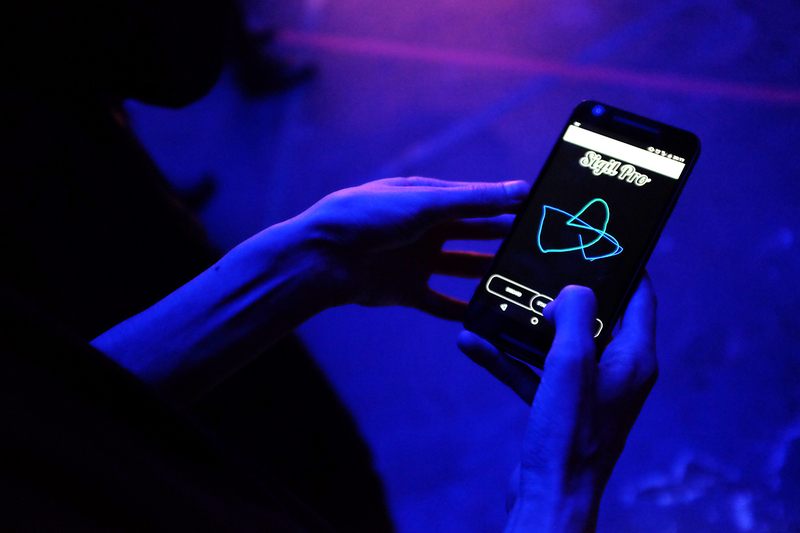 The performance engaged participants in actively co-creating such a communal entity, using a network-hosted smart phone app and the power of their intention. 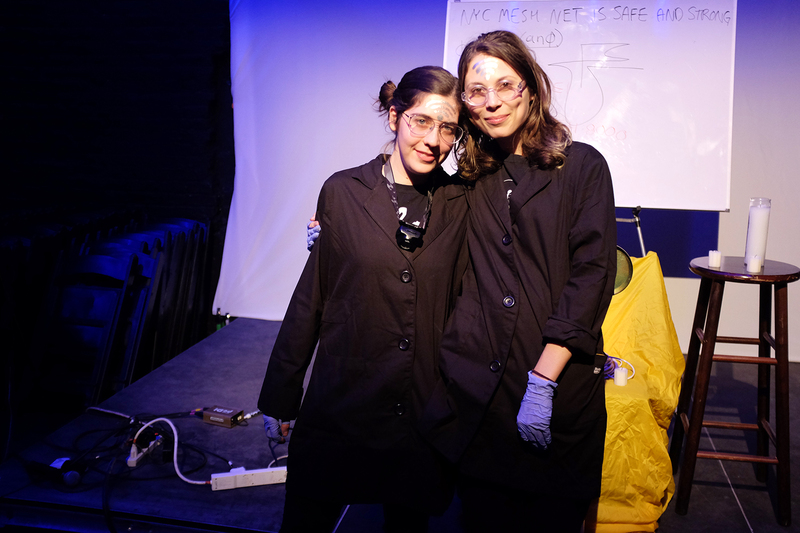 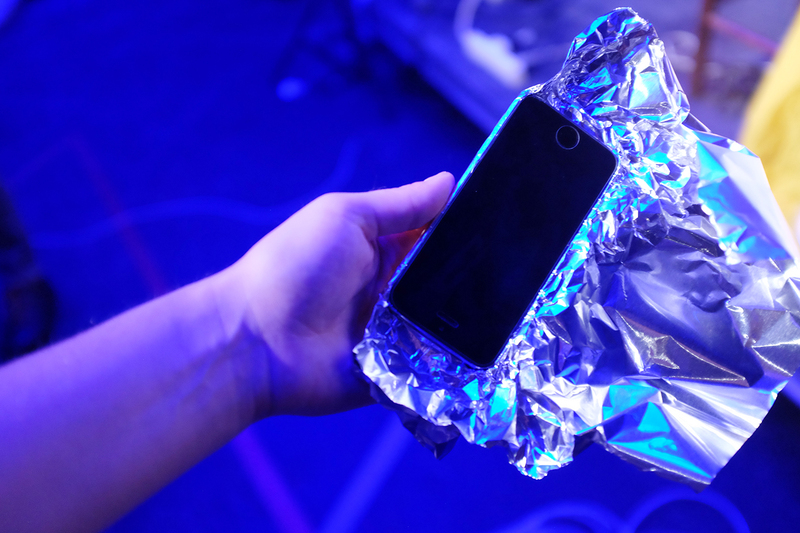 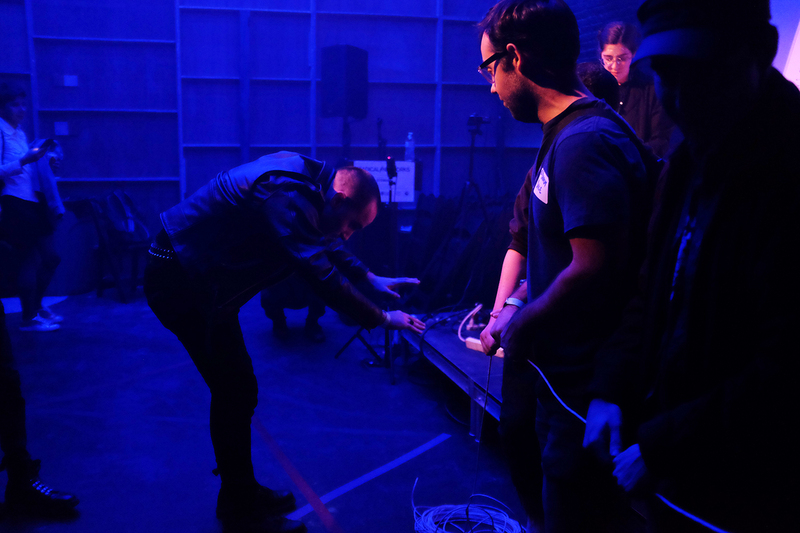 Participants also were invited to join in several symbolic warding exercises, including creating an ethernet circle/human mesh network and fabricating tinfoil cell phone shields. 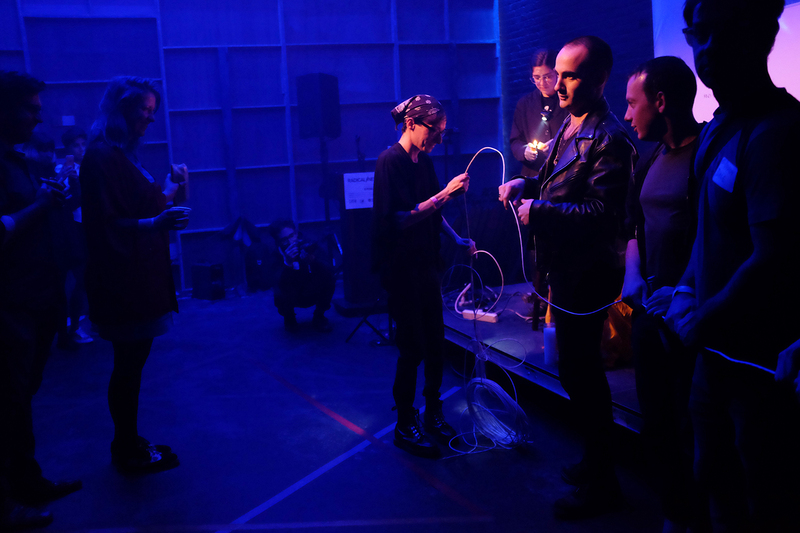 This workshop can be thought of as part community-driven design practice, part situationist happening, and part graphic novel made real.